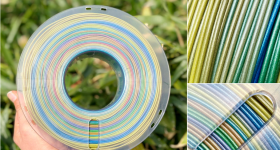 UK-based E3D Online, an award-winning 3D printing technology developer and marketplace, and Victrex, a Lancashire-based manufacturer of high-performance polymers, have successfully created a formulation of polyaryletherketone (PAEK) filament for “lightly modified consumer” desktop FFF/FDM 3D printers. 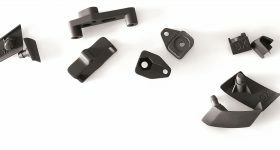 Regarded as an advanced thermoplastic, PAEK is traditionally used in injection molding and extrusion manufacturing processes. 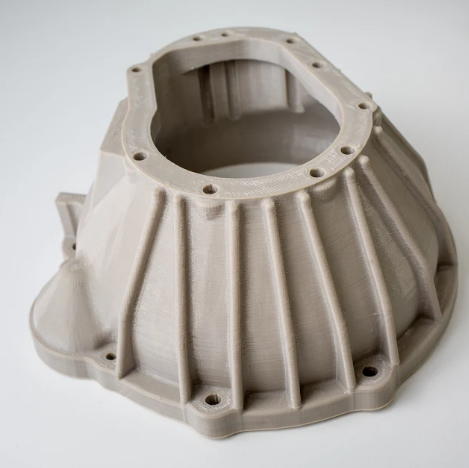 However, with its unique mechanical and chemical properties, PAEK has been integrated within additive manufacturing to produce industrial grade parts used within advanced industries. 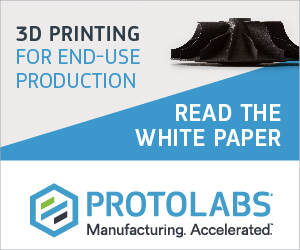 “This material has the potential to be highly disruptive, particularly in the aerospace industry,” said Rory Yonge, Head of Engineering at E3D Online. PAEK-based 3D printed parts from E3D Online and Victrex. Photo via E3D Online. 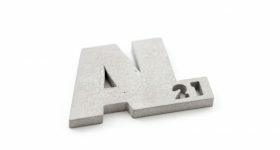 With over 30 years of experience in high-performance materials, Victrex has spent the last two years leading a consortium of companies and institutions with the shared goal of making printable ultra-polymers more affordable and accessible. 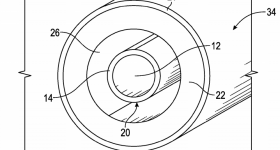 As a high-temperature polymer, PAEK requires a complex heating system in order to be processed. Furthermore, PAEK has commonly displayed poor interlayer adhesion. 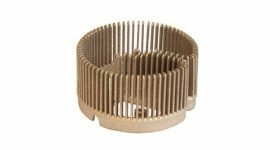 These disadvantages have deterred its use within 3D printing. 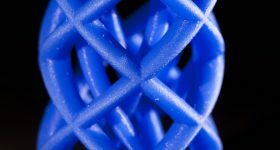 Nevertheless, with E3D Online’s high-performance extrusion systems, Victrex was able to develop a material with advanced properties of a PAEK polymer, while maintaining its printability. Victrex’s introduced the initial range of PAEK materials last week. Several of the defining qualities of the PAEK formulation includes high chemical resistance, high-temperature resistance, high dimensional stability, and high wear resistance. 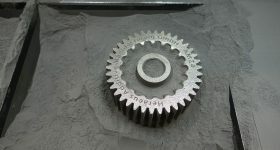 Airbus Group Innovations, 3T-RPD Ltd, EOS, the University of Exeter Centre for Additive Layer Manufacturing (CALM), HiETA Technologies and South West Metal Finishing were also included within this project’s consortium. PAEK-based 3D printed component from E3D Online and Victrex. Photo via E3D Online. 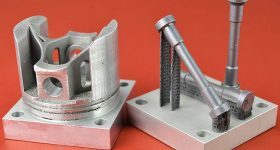 Although August marks the end of the Victrex-led project, which received funding from Innovate UK, E3D Online plans to continue its research into high-temperature materials through the Titan Aqua, a two-in-one water-cooled hotend and extruder, as well as its Chimera and Cyclops swappable hotends designed for air and water-cooled dual extrusion. 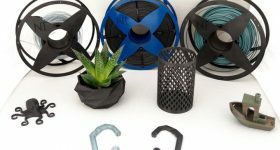 E3D will be displaying various PAEK-printed components along with its tool-changing motion system, at the TCT Show in Birmingham, UK, this September from the 25-27th. 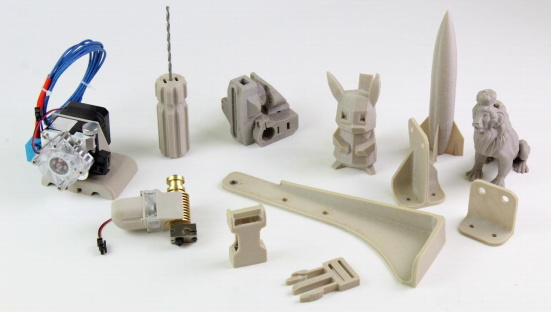 Featured image shows PAEK-based 3D printed parts from E3D Online and Victrex. Photo via E3D Online.